So, you've decided to explore private label for your salon! Salon Owner's Choice makes it easy for you. Salon Owners' Choice, a wholly owned subsidiary of Truso Ltd, is Canada's most innovative manufacturer of hair care products designed for salon private label. We work closely with stylists and salon owners across the country to ensure that our formulas are of the highest quality and that our products are modern, creative tools designed for the salon professional. Why Private Label for Salons? Salons are in a unique position among businesses. Clients return frequently and are intensely loyal. When a client purchases a professional product with your salon's name and logo on it, this reinforces the uniquely loyal relationship. 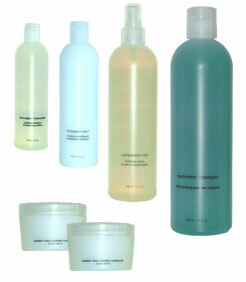 The only place to get your salon's products is at your salon. You develop a strong repeat business. Margins are what you make them. You do not have to follow a distributor price list or worry about competitive pricing from other salons in your area or worry about diversion. Absolutely not! We offer programs to fit salons of all sizes. You can be a single chair or a chain. You can order as few as 48 bottles of product in our specially designed Classic and Essentials Collections programs. If your salon is larger we can further customize larger volumes of products. We work closely with each salon to find a perfect fit so your private label product program works for you. So don’t let the size of your salon determine whether or not you can do private label. We have made it easy and affordable regardless of size! Our commitment to our respected clients: We build strong, long-term relationships by developing a thorough understanding of your organization’s diverse needs. © 2006 Truso Ltd. All Rights Reserved.